If you’re about to start looking for a home to buy, then you may be wondering if it makes sense to get preapproved for a mortgage. Depending on the specifics of your financial situation, it may be best to get preapproval today or it may be best to wait until you have found the home you want. However, today we are going to present three reasons that you may choose to get preapproved. Once you have preapproval, or if you decide to start looking before you have been approved, you can contact Berkshire Hathaway HomeServices California Properties at 310-373-0021 to find the perfect home for your needs. If you are buying property in California then there is a very good chance that the market you are buying into is competitive. This means that there are likely to be other buyers looking for the same great deal you are in the same place you’re looking. Imagine that a seller has several offers on the table but only one of them has preapproval and the others are simply people who assume they can get approved. Who do you think the seller will choose? 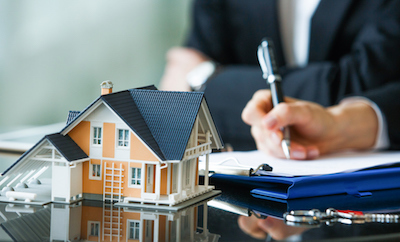 It happens all the time in California and throughout the country: A buyer will put in an offer but the seller discovers that the buyer is not preapproved and refuses to accept the offer. This may sound harsh, but, depending on the specifics of your financial situation, the approval process can take some time. A seller does not want to wait around only to find out that you cannot get approved after all. There is nothing worse than falling in love with a home you believe is in your price range, only to have a lender come back and tell you that they cannot approve you for the amount you are requesting. Do not assume that you can get approved for the same amount as someone else. Do not assume that online calculators that tell you how much house you can afford are accurate. The only way to know for sure how much a lender will approve you for is to request money from a lender. The only way to know for sure what your payments will be with interest and other costs is to get preapproved. When you have it in hand, you can stick to price ranges that are realistic for your situation. If you are ready to find the best home for you then you are ready to contact Berkshire Hathaway HomeServices California Properties at 310-373-0021. We are standing by to listen to your needs, find great options to show you, and help you negotiate to get the best possible deal.